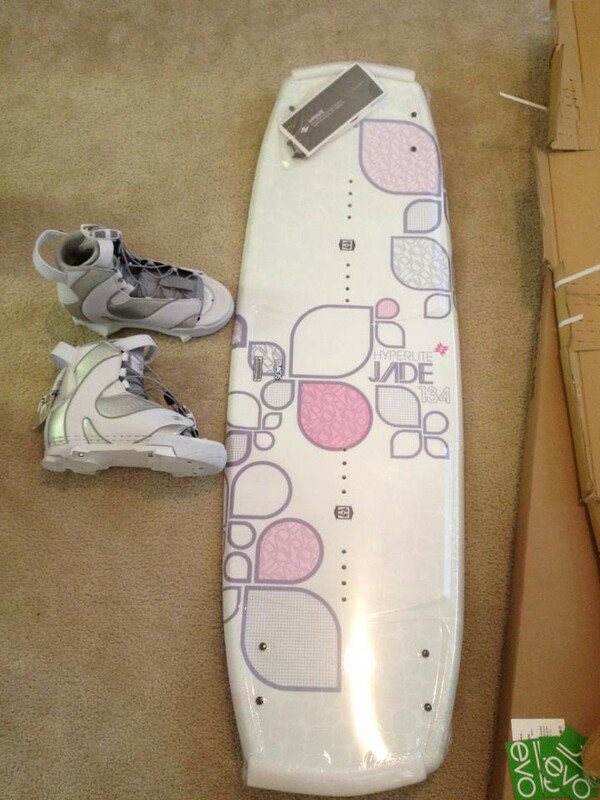 I'm looking for a used wakeboard for my 15yr old daughter. This will be her 2nd season wakeboarding and is focused on working hard on tricks. Any good recommendations for a wakeboard? She might weight 100lbs. I'm thinking something around 130-134cm would work well. Our daughter rides the Ronix August girls board. She is 12 and is progressing tricks over the wake. This board gave her a huge boost over he old youth board. Take a look. Looks like a nice board and it reminds me that I have to find a female board that is not pink. Daughter is about as anti-pink as they come. what makes a board a "female board" other than color? Often times when you're all ready to go for a ride the board doesn't feel in the mood. Footndale...my daughter is the same. The model we got (last year I believe) had purple and no pink. That satisfied her. In snowboards it has more flex. In wakeboard, I"m assuming the same thing, but might be totally wrong.